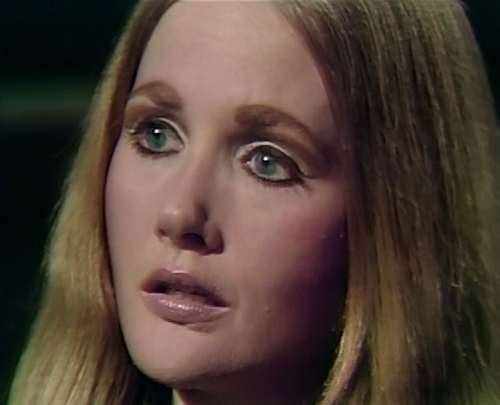 And then, just when you least expect it, Dark Shadows turns back into a soap opera, just to mess with you. Carolyn: Why are you sitting down here? I don’t know you. I don’t understand any of this. Paul: Well, I admit it’s a very strange situation — introducing yourself to your own daughter. Paul: Yes, Carolyn. I am Paul Stoddard — your father. 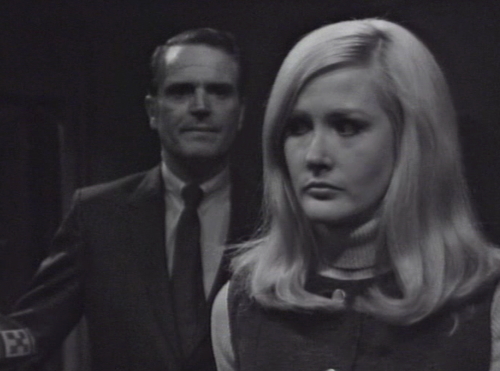 Dark Shadows is currently embarking on a new storyline based on H.P. Lovecraft’s The Dunwich Horror, an unsentimental tale of cosmic horror about a mysterious little boy who grows up too fast, an invisible monster that lives in the barn, and a trio of fearless academics, along with some whippoorwills, hill noises, forbidden books, angry dogs, terrible smells, expendable cattle and the imminent end of the world. It’s a dark, compelling story which is basically unfilmable. It takes place over 15 years, with a lead character that grows from an infant to an eight-foot-tall giant during that period. Most of the action takes place offscreen, and the scares are mostly a matter of suggestion and mounting dread. The monster is invisible. People argue about old books, and look at footprints, and complain about the smell. The lead character kind of turns out to not be the lead character after a while. There was a feature film adaptation in 1970, but they turned it into a vehicle for perpetual ingenue Sandra Dee, sacrificing most of the story and atmosphere, and still not able to make a coherent horror movie out of it. I don’t think it can be done. Now they’re trying to do it as afternoon television, for an audience of housewives, teens, and middle-schoolers, which is an utterly bizarre idea. To make that work, they’ve done something tremendously clever — connecting it to the show’s original core storyline, which we thought was wrapped up two years ago. Dark Shadows began with one big question: What happened in 1949? Vicki’s search for her birth parents, Elizabeth’s self-imposed house arrest, Carolyn’s past and future all hinged on answering that question. What happened eighteen years ago, and where is Paul Stoddard? In July 1967, they gave us a partial answer to that question, and then we all got distracted by vampires and time travel, and we forgot all about it. 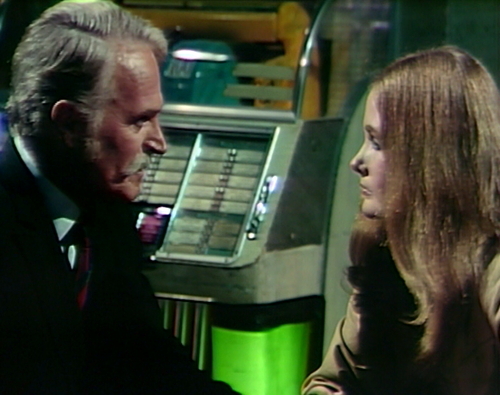 And now — in November ’69, at the heart of this silly Leviathan business — the show remembers that it’s a soap opera, and brings that storyline back from the dead. Carolyn: Do you expect me to just sit here, under the circumstances? Paul: No, I don’t. But I’ve been away for twenty years, and I think that’s worth just five minutes of your time! Will you give me that? He doesn’t say please. He’s not begging. If they’d played it that way, it would be pathetic — a loser, crawling back to his family and pleading for forgiveness. Instead, he says, “I think that’s worth just five minutes of your time!” He’s been through a lot, and he’s going to go through a lot in the next five minutes, but he still has pride. He’s still Paul Stoddard. He needs to have the same kind of spirit that Liz and Carolyn do, in order for this to work, and they establish that right away. Carolyn: How can I, after what you did to my mother? Paul: (reflective pause) When a man is only granted five minutes of a lovely daughter’s time, he’d be foolish to waste it on denials. I admit it, Carolyn. I was poor. Your mother’s money tempted me. And I tried to take it from her. I’m sorry. He’s also strong enough to admit what he did, and apologize. He’s not trying to wheedle his way out of this; he’s a straight shooter. That gives him the license to say “five minutes of a lovely daughter’s time,” which is genuine heartbreak. This is what I’m doing today, by the way, just a close reading of this scene. This is a huge change to the status quo — not just for the Leviathan story, but for the entire series — and they do it economically, and well. It’s like a master class in how to do this. Paul: Since then, I’ve learned that money is not all that important. Carolyn: I don’t understand you! You sit here talking about money, and its meaning, and you don’t even mention the rest of it! Paul: The rest of what? Carolyn: What you did to my mother! 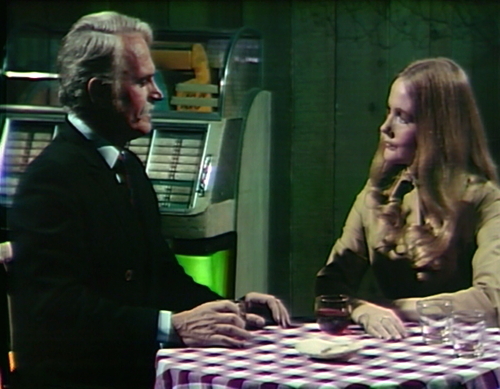 For nearly twenty years, Collinwood was a prison to her, while you roamed the world, living on her money, laughing at her! Paul: Why was Collinwood a prison to her? Carolyn: Because she believed herself a murderess. Paul: Who did she think she killed? That’s the big, stunning moment. They could have closed the scene there, and cut away to something else. They even zoom in for the close-up, which is often the cue for an act break. If this scene was happening on a modern soap, they absolutely would have cut away. They would take a meaty conversation like this and slice it up into forty-second sound bites, spreading it out across a whole hour-long episode. Dark Shadows makes the stronger choice, which is to stay here and keep the momentum going. This scene goes on for almost six minutes. Also: “Mr. Stoddard” is basically the mirror image of the “lovely daughter” line. He’s trying to position himself as a parent, but he’s a stranger to her. “Mr. Stoddard” puts him back in his place. Carolyn: Let me refresh your memory! And here’s where they do the recap, explaining the story to everyone who started watching the show after Barnabas started biting people. She drops one piece at a time, and waits for him to react, leading us through the story step by step. Carolyn: You do remember planning to steal from her — money, bonds, jewels. You do remember the night she caught you, and hit you over the head. Paul: Yes, yes. I remember all that. 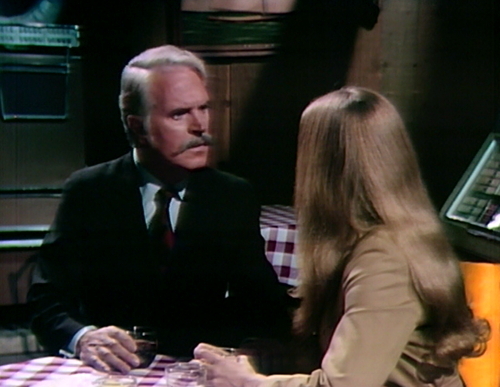 Carolyn: And what about the rest of it — what happened between you and Jason McGuire? Paul: How do you know about Jason McGuire? Carolyn: Oh, I know all about that night. When he told my mother that you were dead, and that he’d buried you in the basement. Paul: He told Elizabeth that? Carolyn: That’s exactly what he told her. And she would have believed it all her life, and wasted all her life, if Jason hadn’t gotten greedy, and come back here. Paul: When did he come back? Carolyn: A few years ago. He tried to blackmail my mother into marrying him. He forced her to go through with the divorce. And he almost succeeded, until we opened that trunk in the basement, and she found she’d killed no one, that it was a cruel conspiracy between you and Jason. Reviewing this painful period of her life does several things at once. It recaps for the audience, and it gives her ammunition to attack her father — but it also acts as a catharsis. She goes through this journey again, with him by her side. It lets her work through the experience, and then release it. Paul: But, Carolyn, I had no part in that! Believe me, I had no part in what Jason McGuire told your mother. Carolyn: Then where did you go? Why did you run away that night, and stay away? Paul: Because it was the night of the big lie for me, too! “Where did you go?” means that she believes him. That’s the catharsis talking. She could have said “I won’t listen to a word out of your lying mouth,” but he’s traveled through the painful story with her. Now she wants to know his side. So it’s time for his recap, which he delivers the same way — one step at a time, drawing her, and us, through the story. Paul: When I came to in that basement, Jason McGuire was with me. And he told me that your mother had paid him a great deal of money to finish what she started. Carolyn: How could you believe she would do such a thing? Paul: Well, how could she believe that I could do such a thing? But she did… and I did. And we each of us wasted twenty years of our lives. Oh, Dennis Patrick. I don’t really know anything else that he did in his career — he appeared in dozens of TV shows over the next two decades, and I don’t know any of them well. But he is very good at doing exactly this. And look at her; he’s got her riveted. Paul: For that matter, how could I believe that Jason McGuire was doing me such a big favor? Sure, keeping the money, but handing me back my life — provided I would leave Collinwood, and never come back. I believed all that, too. Carolyn: Where did you go, when you left here? Paul: Every place is the same, for a man without money. I happened to go to California. Carolyn: And what happened to you there? Paul: Well, that’s the odd thing, my darling. I turned my hand to this and that, and everything turned out well! “My darling.” Just throwing that out there, and she doesn’t object. Paul: Finally, I had everything I wanted, except for one thing. Carolyn: And what was that? And, there you go. That’s the big lie. Paul isn’t lying to Carolyn; the show is lying to us. 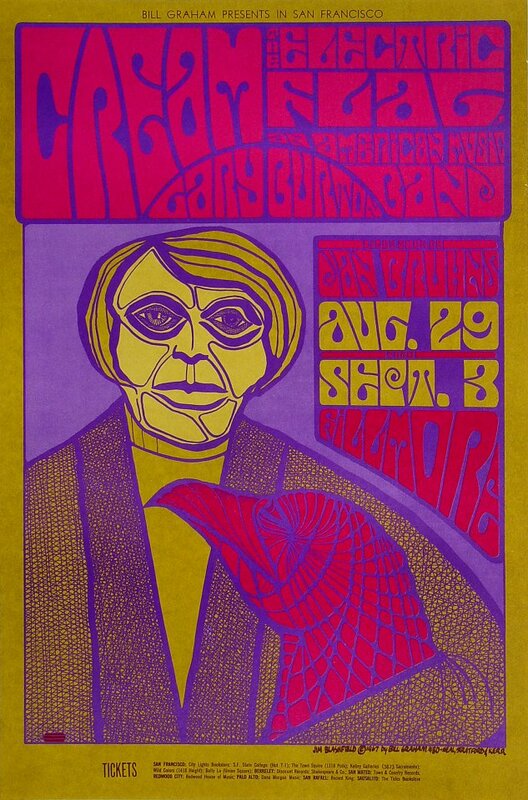 Dark Shadows is twisting what we thought we knew, and turning it into a different story. This is the retcon, the big lie at the heart of this story, and we believe it. Paul: I traveled all over the world, I went everywhere except the one place I really wanted to go. When I saw you that day in the woods… I knew that you were everything I ever dreamed, and a little more. I suppose I really should have let it drop right there, but — oh, I wanted a chance to speak to you, to tell you who I was, and how I’d missed you. We saw the flashback, two years ago, showing us what happened that night in 1949. Paul was leaving with the money — Carolyn’s money, Liz said — and he couldn’t care less. “You’re taking what belongs to Carolyn!” she cried, and he sneered, “Tell her it’s a small payment for putting up with her for the last two years.” And then she made with the blunt objects. Paul: My five minutes are up. Carolyn: Why didn’t you tell me who you were, when we met in the woods? Paul: Oh, why did I write you a hundred letters and never mail them? Why did I pick up phones all over the world and put them down again, even though my heart was breaking with loneliness? Oh, Carolyn. If we could only make up for the mischief Jason did. Paul: You mean… I’m not a disappointment to you? Carolyn: I don’t know if you are, or not. That’s a great line. The scene is tilting a little too strongly towards the sentimental and sugary — “why did I write you a hundred letters,” indeed — but Carolyn’s answer cuts against the grain. She’s still the same strong-willed young woman that she was when the scene started. Carolyn: I mean, I’ve never seen a picture of you, or anything of yours. My mother wouldn’t permit it. But I do know I want you to stay for a while, now that you’ve come so far. Let me see how far I can get Mother to come. And it’s here, at the very end of the scene, that they allude to the weirdest thing about this storyline. Of course she’s never seen a picture of her father, because if she had, she would have recognized him as the same actor who played Jason McGuire. This is Dennis Patrick’s return to the show, playing the other side of the story. Dark Shadows does this all the time now, bringing actors back to play new parts, but they don’t usually spend a lot of time bringing up the part that they used to play. Paul’s entire story hinges on what Jason did, that night in ’49. You would expect, when they put out a call to cast Paul Stoddard, that any actor in New York would be eligible for the role, except for Dennis Patrick. They cast him anyway. And somehow, using some kind of weird Dark Shadows enchantment, that actually makes him more convincing in the role. 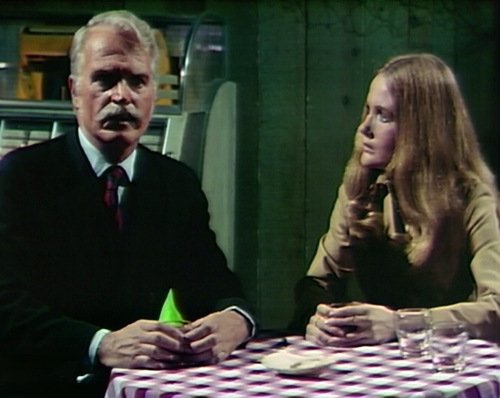 They’re bringing up plot points that we haven’t even thought about for two years, which is tough on soap operas, and using Dennis Patrick in the role helps them connect the original story and the retcon. I can’t really explain why that works. 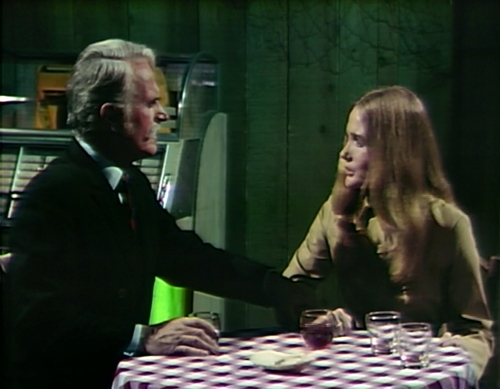 It flies in the face of everything that we thought we knew about the suspension of disbelief, which is one of Dark Shadows’ core incompetencies. On a television show made by sane people, they wouldn’t even think about doing this. But it works. Carolyn shows David a couple of wooden toy soldiers in the shop. He’s pretty enthusiastic about them, considering it’s probably the same toy that Sarah gave him a couple years ago. We see David’s room for the first time since 1897, and the set’s pretty depopulated. We only see one corner, but there doesn’t appear to be any of his decorations up; there’s just a yellow car on the shelves, and no posters. The next time we see his room is two weeks from now, and we’ll see more of his stuff then. See “The Room” for more on my obsession with David’s bedroom. Dennis Patrick gave the very first portrayal of a vampire for television in the 1950s CBS mystery/suspense anthology series Stage 13 (Now You See Him; season 1, episode 7; May 31, 1950), which was live television. Neither video footage nor photos of this episode appear to be available online, but while searching I happened on this Dennis Patrick fan site, which has many photos spanning the decades. In 1961, Patrick co-starred with Anthony George in one episode of a crime drama series called Checkmate (Nice Guys Finish Last; season 2, episode 10; aired Saturday 8:30 p.m., December 13,1961 on CBS). Paul Stoddard looks decades older then Jason did actually. Jason was even worse then we thought 2 years earlier, pulling the strings of two people for nearly 20 years. Danny, I totally agree with you about this scene. And it will give Joan Bennett some wonderful stuff to play, at least until she goes all Leviathan on us. It’s odd that, given the wackadoo nature of this show, something we all love about it, that we might yearn for an occasional bit of normalcy. 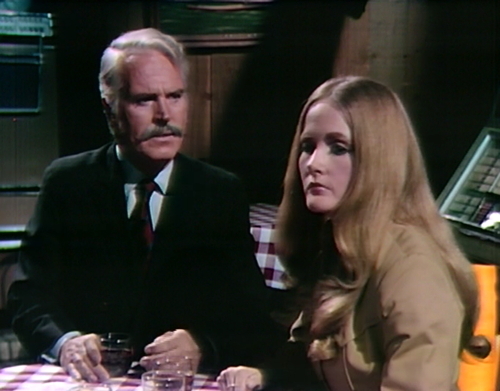 At least here, when we are given it, it was beautifully acted by Nancy Barrett and Dennis Patrick. I just loved this episode and the ones that immediately followed. I loved DS but always wanted a little more characterization in the stories. I wish they’d done more of this. David should have talked about his mother; they should have explored the evolution of his relationship with his father. Quentin should have dealt with the loneliness of immortality. 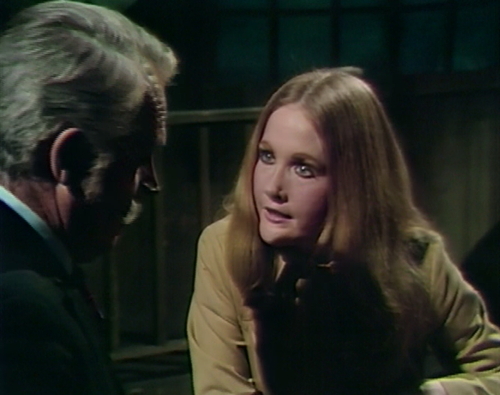 Julia should have been more open about her feelings for Barnabas, maybe bitching about Roxanne. It wouldn’t have taken away from the horror or the adventure. It would have made it all that much more compelling. If DS had only held on long enough to become a one hour soap, all that character development would have been possible. Imagine if we now had hour long episodes to treasure! 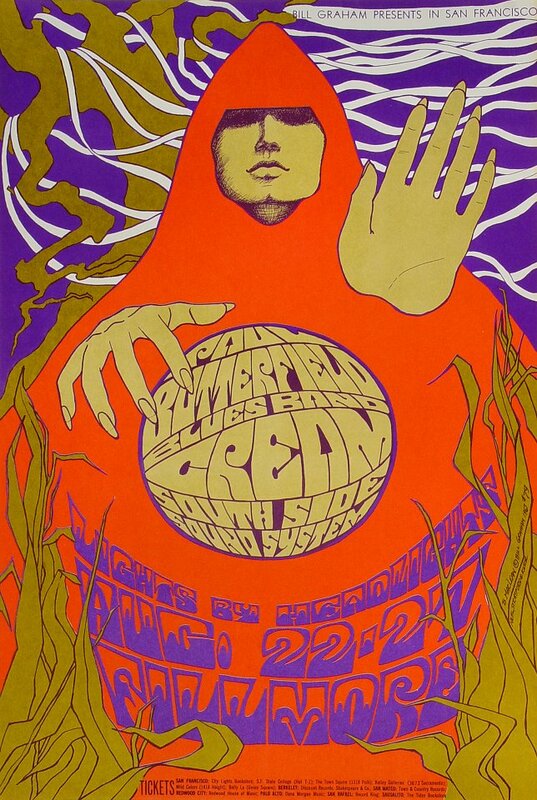 Speaking of David’s posters mentioned in ‘the room’ post- I was lucky enough to see them in person at a san francisco airport display of 60’s psychedelic poster art- and both the purple and the red and yellow are posters for the band Cream- so for some viewers in the know back then it made the room even more evidently up to date in davids room. I’m surprised no one here has mentioned Dennis Patrick in the movie JOE with Peter Boyle. 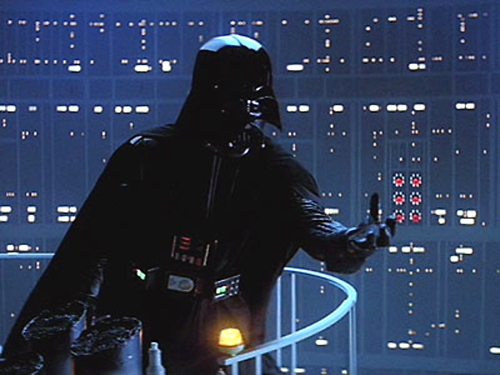 Speaking of father / daughter relationships, that movie ends with about the most disturbing father / daughter scene ever! 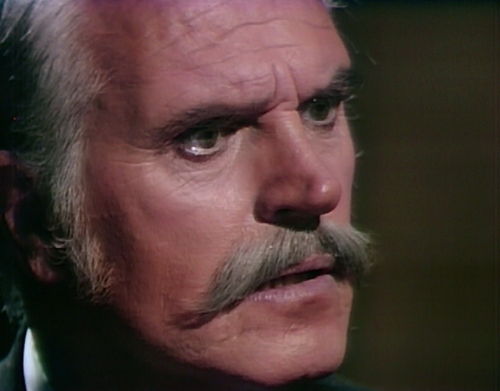 I’m a bit shocked that nobody has mentioned Dennis Patrick’s role as Vaughn Leland on DALLAS. He was heavily involved in both the “Who Shot JR?” and “Who Shot Bobby?” stories. 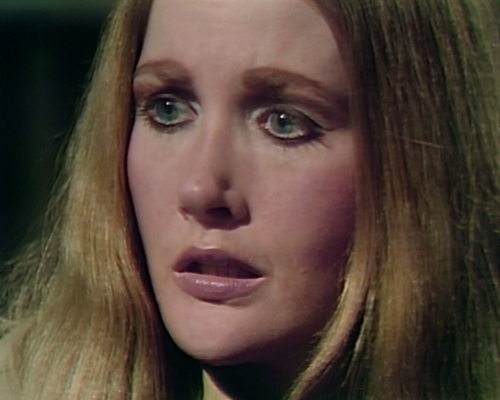 I’ve also always felt a little characterisation would have gone a long way to giving Dark Shadows more staying power. Scenes like this help me think that. You beat me to it, Jason. I was planning on mentioning it after reading Danny’s blog today, but I wanted to go through the comments to see if anyone else did first. You did. I’ve seen dozens of Dennis Patrick performances; I doubt I’ve ever seen one in which he wasn’t excellent. His guest appearance on “It’s Garry Shandling’s Show” gave him another opportunity to work with his wife Barbara Cason. It also gives his fans a chance to see him do something he rarely got to do in his acting roles: dancing. Since the Collinwood basement is mentioned here and because we’ll probably never see it again, it always strikes me as odd that for a house of such impressive size with over 40 rooms the basement we saw in 1966 and 1967 was extremely small, more like the half basement one might find beneath a 1.5-story house in the Cape Cod style. And like the rooms in the shuttered East/West wings, cluttered with relics, cobwebs, and secrets. What I’d love to see, if there are any architects out there in DS fandom, are floor plans/ blueprints of Collinwood and the Old House, being as faithful to what we saw on the series as possible. Some of the sets had pretty peculiar architecture, like that door under the mezzanine in the foyer. Wasn’t that Sarah’s doll that Amy was holding in the antique shop in this episode? Another fan here of this episode and the Paul/Carolyn scenes. For all the bizarre supernatural horrors she and the rest of the family has faced, this incident is still very much what defines them. My point here is about the Leviathan storyline in general. I don’t remember it at all, probably because I didn’t see most of it (it started and ended during the school year), except for some episodes over Christmas break, I suppose. By almost all accounts, the Leviathans is the beginning of the end for DS, for a lot of reasons. I don’t know how much of the audience demographic of DS was kids that young, though I know it was a wildly popular show amongst my peers. And to this ten-year-old, the Leviathan story would have been horribly boring (as would, I admit, this “boring” talky episode about fathers and daughters). At that age, I wanted to SEE things. That was what I was waiting for each day–vampire fangs and bites, werewolves, disembodied hands floating around, skeletons, disfigured ugly faces (Evan and Quentin), etc. As discussed here, the monsters are suggested and invisible here. As a kid, I could put up with suspense and waiting for the monsters appear (I know they didn’t every day), but there had to be payoff at some point. Sounds like that payoff never really comes with the Leviathan story–and that’s why it’s a failure to a ten-year-old. I like the return to “original David,” the nasty brat, in this episode–sneaking around, harassing his sister, giving everyone a hard time and feeling put out by the adults (and bratty little “sister” Amy), etc. I especially love how when Carolyn tells David and Amy not to touch anything in the shop or Roger will be billed, David promises not to and then immediately turns around and rubs his hand all over the warthog pig thing. By the Quentin ghost storyline, David was mostly a good kid who was being victimized, but I missed that “evil little monster” that Carolyn couldn’t stand at the beginning of the show. Of course, some of it now can maybe be chalked up to adolescence as well. David seems to have gone through a huge growth spurt even since his Jamison days. And all the eye-rolling–and I loved when he flailed his arm in the air and turned around to glare at Carolyn on the stairs–is classic pubescence.